In 1977, Eric Clapton was coming off two unsuccessful albums in ‘There’s One in Every Crowd’ and ‘No Reason to Cry’. He decided to waste no time by getting back into the studio, bringing in famed producer Glyn Johns as well. Dialing back the jam sessions and focusing on carefully crafted songs, Clapton would reaffirm his “Slowhand” nickname and reclaim the glory that he had built throughout his career. 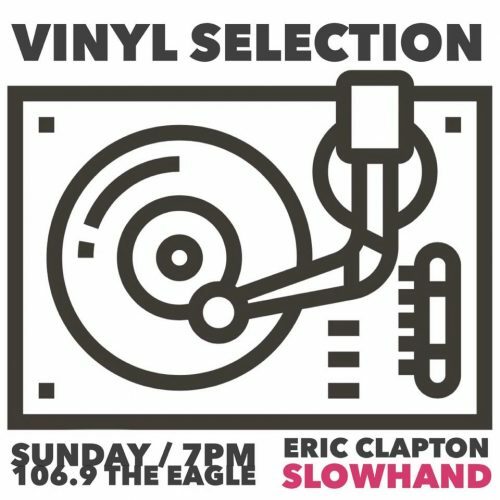 ‘Slowhand’ would go on to be Clapton’s most succesfull solo album until the release of his Unplugged album in 1992. 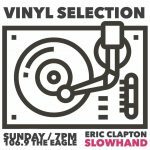 From “Cocaine” to “Peaches and Diesel”, join Ricky Aaron as he covers the entire album for this week’s Vinyl Selection!